As of today, I’ve got a one-month old. Mac is little (but growing), noisy and so, so sweet and snuggly. He’s also really high maintenance. Of course, it’s in a no-judgement, immediately forgivable because-he’s-so-cute way, but the kid needs a lot. Whether it’s attention, hygiene help, food or equipment, there’s constantly something to be doing. And that doing happens around the clock. So, when sleep is scarce and emotions are abundant, there’s a lot of room for things that mindlessly help you cope. And, once you’re over the fence where coping actually becomes purposefully doing, you do look (and feel!) like a pretty darn good mom. With the help and advice of friends and family of fellow newborns and toddlers, I got a list of must-have items that make your days and nights manageable in those first few weeks of supporting another life. Amidst constant panic over whether he’s breathing, comfortable and happy and in between brain-dead moments of trying to remember which pacifier is the clean one, or if the burp cloth is still worth keeping out of the laundry or if it’s that bad to reuse his only good swaddle blanket, because he may have peed on it last night, there are several beacons of sanity-saving light. And, from the experience I’ve soaked up in a month, these are the items that come out at the top of my list. Read on, new moms (or veteran ones) and enjoy rocking this first chapter out. Stay Clean | Sanitizing may be the leading cause of maternal nightmares, whether pre-pregnancy (i.e. the nesting phase, which may be the last time my baseboards see a dust rag) or once the little one with his delicate immune system arrives. What are your visitors bringing in on their shoes? What was left on the counter from that defrosting casserole dish? Did I lay the pacifier on the dirty dishes? And, for me, who has to use a little extra equipment for nursing, is there ever an end to running hot water and soaping up a boat load of plastic accessories? 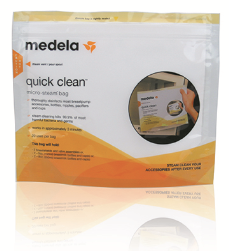 To the rescue, my cousin recommended Medela Quick Clean Micro Steam Bags. These allow you to toss everything breastfeeding and pumping-related into a bag and into the microwave for a quick, push-button clean. GLORY. Because anytime a button can handle a task for you, the better. But what made this process even better was discovering the rest of the Quick Clean line from Medela. Their Breastmilk Removal Soap sits right by the sink, so when I only used one thing, or the pacifier fell into the trash can, I can do a quick pump and feel good about keeping things clean. I can also fill the sink with warm water, add a couple pumps and when everything is tossed in and rinsed off, I’m done. Lastly, the diaper bag hasn’t been the same since I added the Breastpump and Accessory Wipes to it. It’s almost tempting to keep a pack of these in every corner of the house, because realizing how often we get stuck on the couch with a soothed baby sleeping snugly on your chest, makes sink- – or microwave- – access something else you have to ask your husband to handle. Shop them here. Hands-Free | I admit, the thought of wrapping the mile-long Hip Baby Wrap around my body and trusting it with my baby’s life was daunting. But the realization that I may never get to use both of my hands at the same time again was worse. Especially once Mike went back to work, and I knew with one hand I would have to heat up my coffee in between bites of whatever leftovers were on the counter, in between shhh-ing an swaying my baby, I knew something would have to give. So, with a little guidance from You Tube, the Hip Baby Wrap made its way into my morning routine. It does hold my baby (correctly, according to our Baby Essentials class instructions) and it doubles as a seriously soothing hold for said baby. Mac loves it. So, I love it. And, my coffee is hot. Win, win. Buy it here. 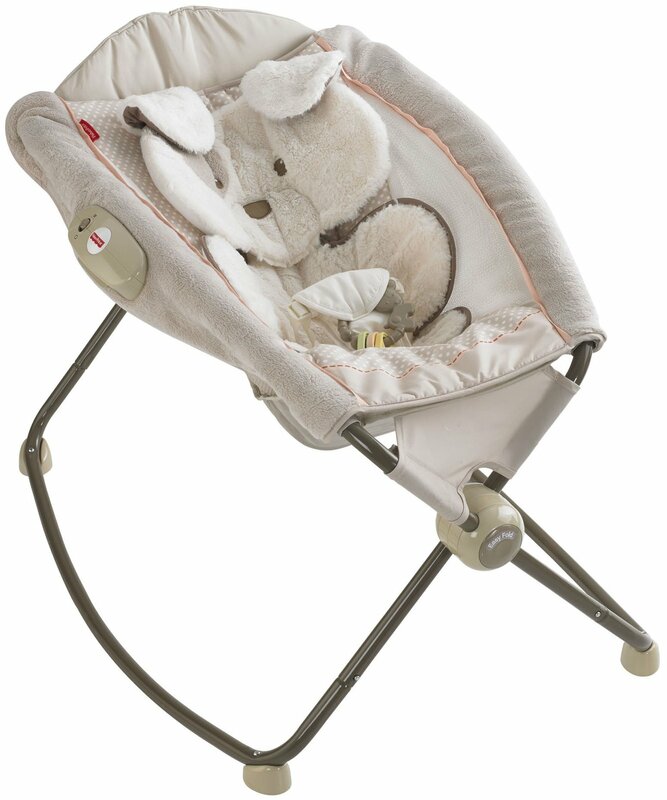 Sound A-Day-Sleep | I cannot count how many people recommended we buy the Rock N’ Play Sleeper. Whether for night sleeping (we don’t use it for that), convenient napping in any room of the house or for a rock-to-sleep while you’re watching TV and typing out a blog post on the sofa, it’s legit. And the baby loves it. In fact, right now, he’s snoring. And the peace of mind that comes with not having to worry he’s rolling off the slick leather sofa while I get up to finally use the bathroom makes life way more livable. One step closer to normalcy? Thanks, girlfriends. Buy it here. I’m no scientist, or someone who does a lot of product research, so I can’t tell you why it works, but I can tell you it absolutely does. 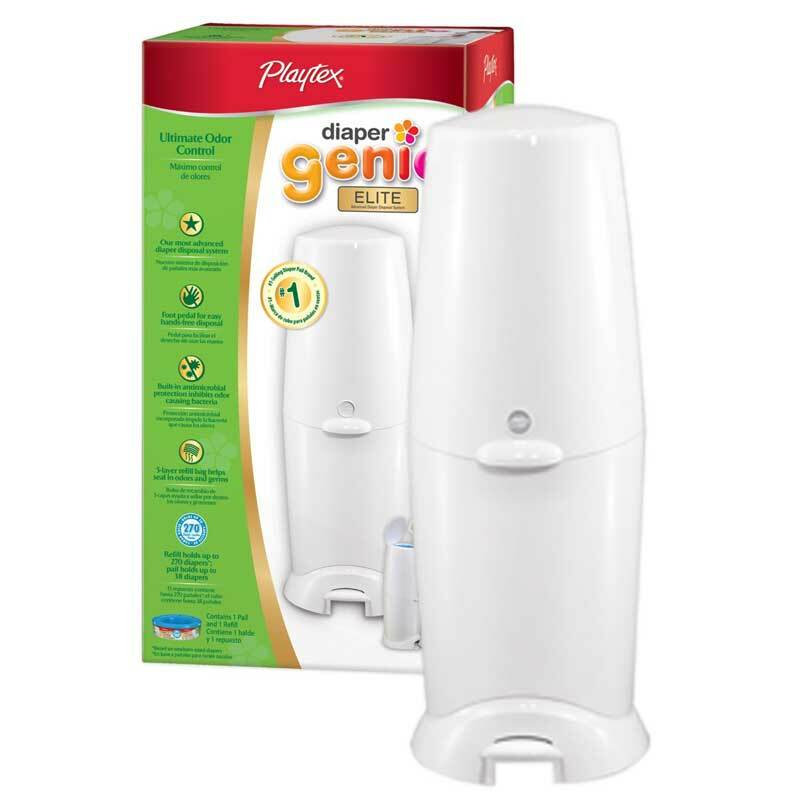 Diapers go into the claw and get locked away in a medical-grade-looking blue bag and odor-blocked by the carbon filter on the lid … and their smells are never again discovered. Well, except by Mike, maybe, when he has to dump it. Bottom line – our house isn’t one of those that has the undeniable smell of baby powder mixed with breast-milk poop. <insert deep breath> Oh, and we’ve got one on every floor. Buy it here. Things You Should Take Home from the Hospital | The biggest piece of advice we received from veteran moms and dads was to be greedy about the supplies the hospital stocked your bassinet with. “Take the diapers,” they’d say. “Take everything!” others would insist. So, of course, we did. We packed up every bag we brought with the diapers, wipes, gauze, petroleum jelly (you just don’t even KNOW how much of these things a circumcision requires) and formula. But, then, when the nurse told us to take home things on our discharge day, we went a little crazy. We swiped every bright orange pacifier from the room (they scatter fast) and may let him use them till he’s six years old. I stashed the ice packs from the bathroom, which relieved sleep deprivation headaches and body aches during that first week at home. And, I grabbed a pack of the waterproof bed liners (meant for leaky moms) and made them the most undeniable changing pad liner during this first month. I can’t tell you how many load of laundry jmissed our crib sheet because the puddle stayed on the liner, the poop shot was blocked or the over-fed baby spit up right where that little square could soak it up. It took about a week to get the positioning and my reflexes in check, but now, I am wishing we had an unlimited supply. Mom’s Special Juice | A lot of moms admitted that they didn’t really miss alcohol all that much while they were pregnant. I don’t really get these people. For me, I was drooling in my sleep over the next time I’d imbibe in a twinkling little (big) glass of Prosecco, an ice-cold Sweetwater 420, or on the recommendation of my good wino-friend, a stem of Solena Estate Pinot Noir. As my red of choice, it was a no brainer, but her suggestion of a glass at night, timed perfectly right after that bedtime feeding, has made my own bedtimes something to revel in. 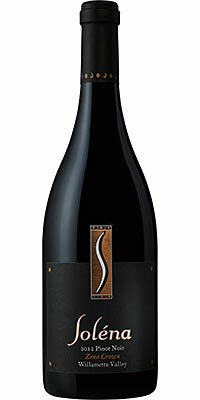 It’s smooth, succulent and from a vineyard worth calling your “first” post-baby. In a word, yum. See it here. 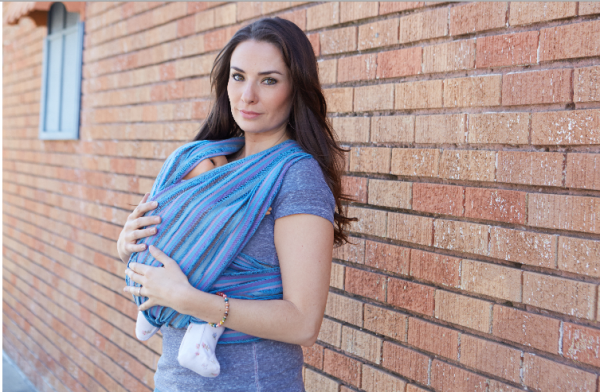 Swaddle Simplicity | I was excited to learn to swaddle. No, really. One, it’s pretty cute to see a baby all wrapped up and sleeping soundly. Two, they’re much easier to pass around when those tiny arms and legs are flying around and three, when my baby’s swaddled, he’s fast asleep. But, as cute and cool as all of those blankets are that I stocked my registry, and then my nursery with, weren’t everything I dreamed of when it came to enacting the real thing. In fact, the only ones I like to use (and believe make an actual good swaddle) are the ones I got from Land of Nod. 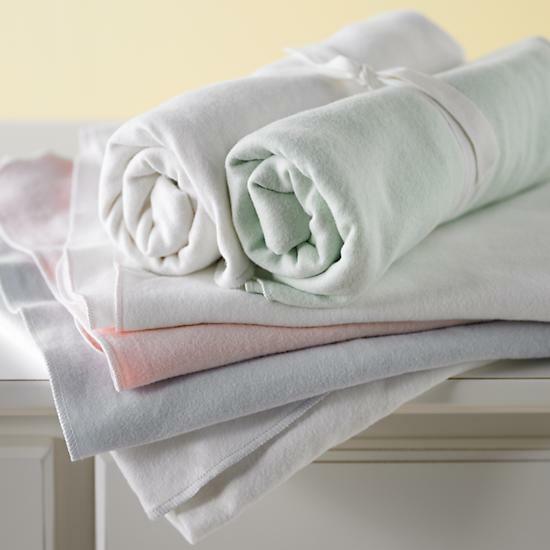 The Wrap It Up Organic Swaddling Blankets are made of 100% organic Egyptian cotton, but they aren’t slick and thin like the popular muslin ones. They’re warm and textured and feel like soft, yummy fleece. This means, baby is comfortable and I am still able to claim that I am a great swaddler. They’re pricy, and LON takes a minute to get things to you, but these babies are worth it (and machine washable). If you aren’t registering there, just go ahead and order at last two packs (which means 4 blankets). And then, hit the snooze button. See them here.